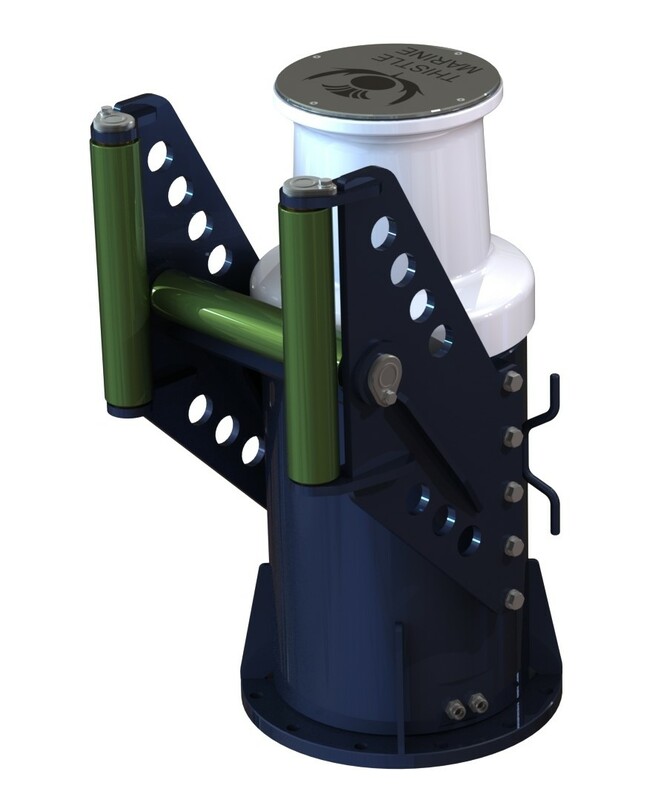 The 3,000 kg capstan is a vertical rotating drum used for a variety of rope pulling activities mainly on-board boats. 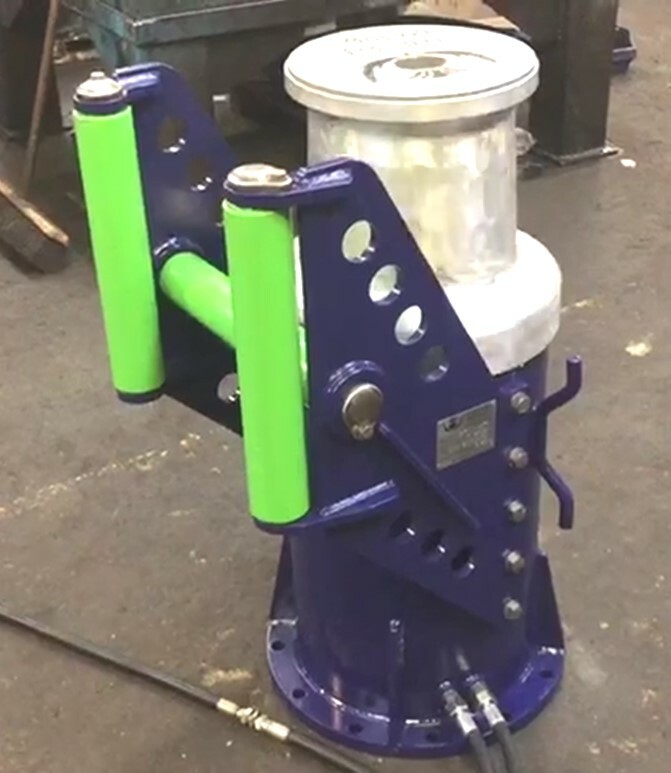 It is hydraulically driven and extremely rugged for harsh environment marine use. 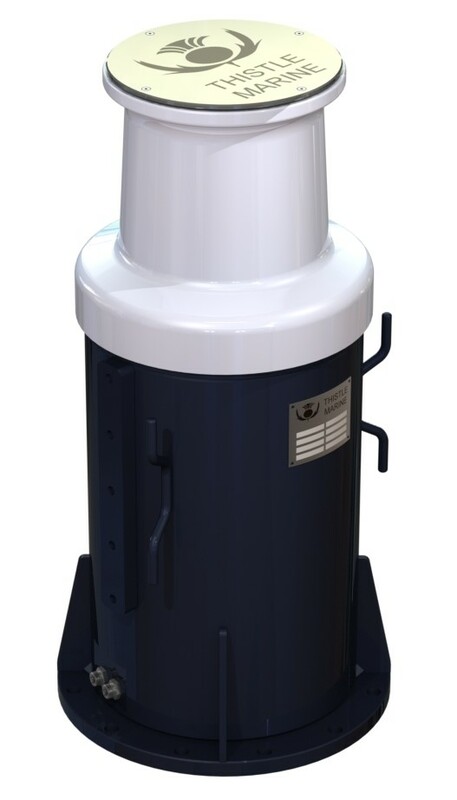 The capstan drum is aluminium and the pedestal marine grade steel. 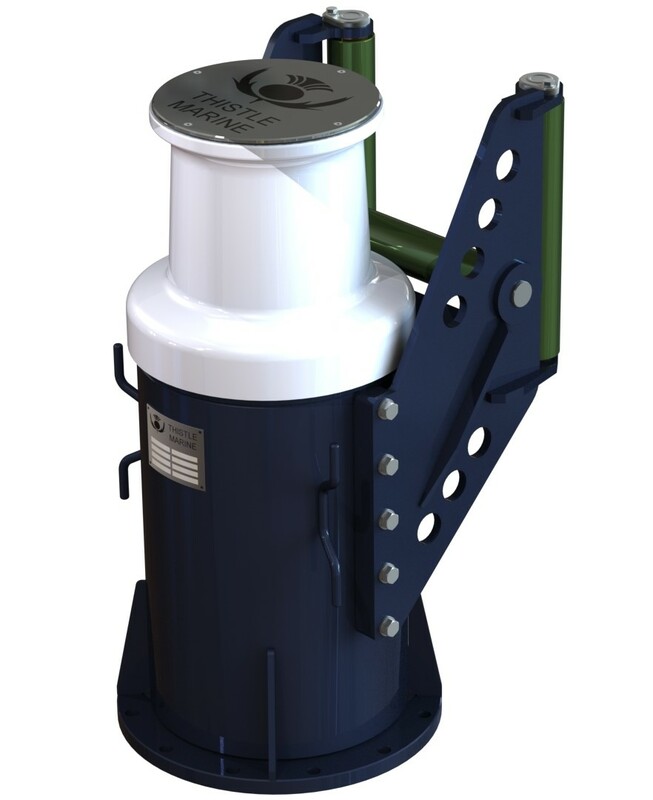 The capstan pedestal features side attachment points to allow attachment to the boat gunwale where required. 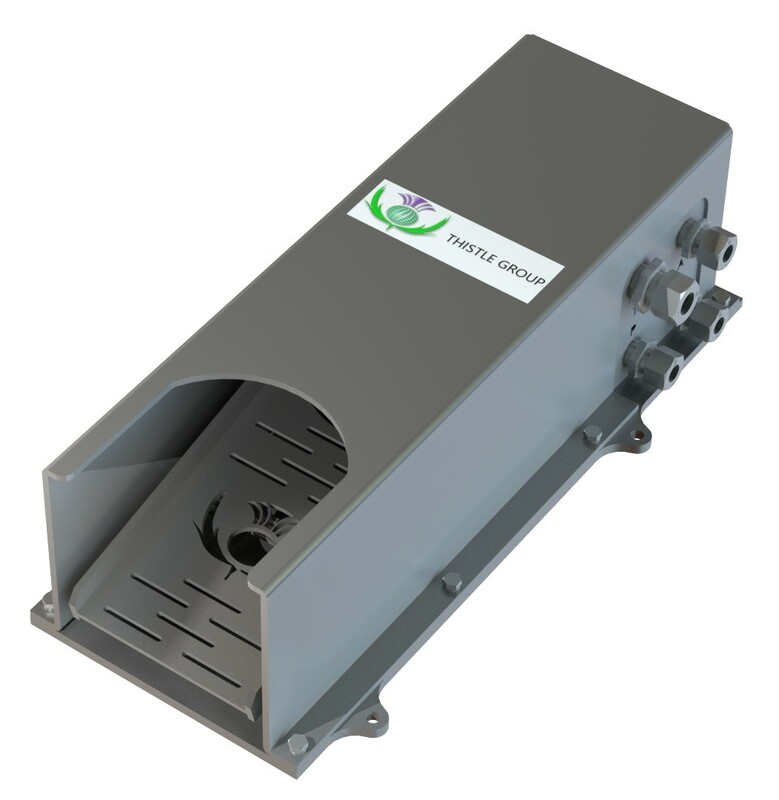 Normally supplied with Thistle foot pedal controller which removes requirement to fit hydraulic control valve below deck. Thistle Group Ltd © 2018 All rights reserved.